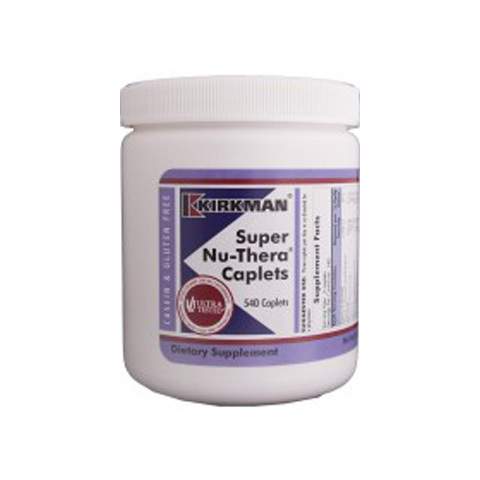 Super Nu-Thera® (SNT) is Kirkman’s proprietary and most popular multi-vitamin specially formulated for individuals who have certain dietary sensitivities or requirements. 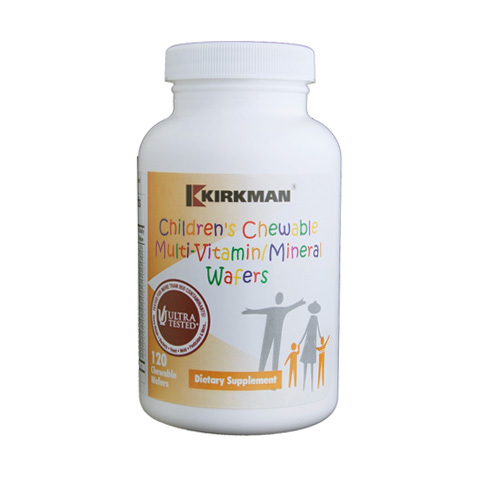 It offers high vitamin B-6 and magnesium content. This SNT version comes in easy to swallow caplets. Iodine and folinic acid (a bioactively active form of folic acid) have been included in this formulation. Free of common allergens. Gluten and casein free. Ultra Tested®. 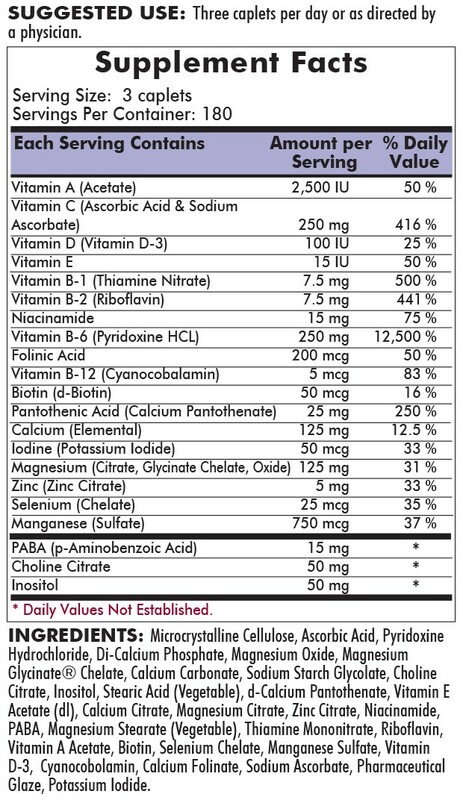 Super Nu-Thera® has been Kirkman’s most popular dietary supplement since its inception in 1967. The original Super Nu-Thera® was formulated by Kirkman® at the urgent request of a researcher, Dr. Bernard Rimland, who wanted a nutritional supplement with high vitamin B-6 and magnesium content that tasted good so children would take the product. The original form of Super Nu-Thera® was an orange flavored powdered supplement. This classic is still available as our Super Nu-Thera® Powder (#470-454). iodine to support healthy thyroid function.